Russian Human Rights ombudsman Ella Pamfilova is suggesting the renaming of Volgograd to Stalingrad, which is favored by veterans who met President Putin in Normandy, should be decided by the whole Russian people. 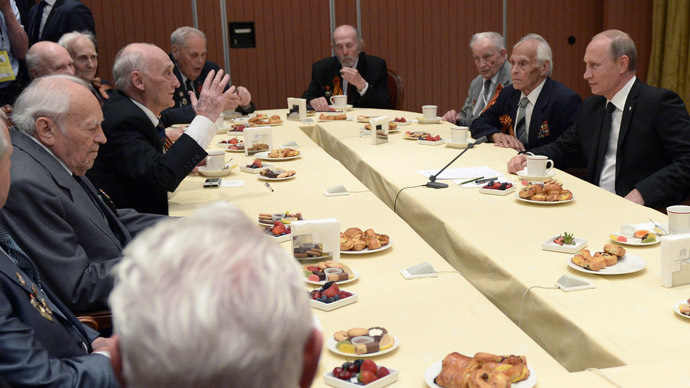 The issue was brought up by a group of Russian WWII veterans who met with President Vladimir Putin in Deauville, France, as part of the international D-Day celebrations. 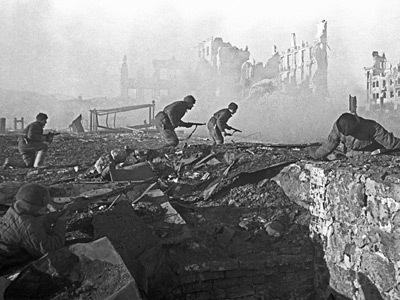 One of the elderly veterans asked if it was possible to rename the city of Volgograd back to Stalingrad. Putin replied that the law says such questions need to be decided at the regional and municipal level. “In this case the city residents must hold a referendum and make a joint decision. We will do what the people say,” the Russian leader said. The veterans are eager to go to Volgograd and as part of the campaign. The president also said that a square in Paris is named after Stalingrad. 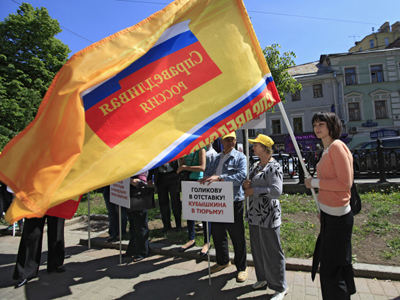 On Monday Russian Human Rights ombudsman Ella Pamfilova commented that because of the nationwide importance of the Battle of Stalingrad, the issue of Volgograd's renaming should also be put to a nationwide referendum. She said it could be held on the all-Russia election day in September. 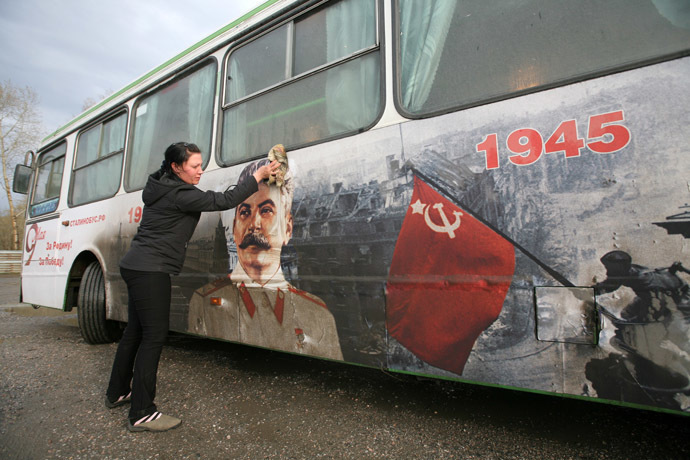 In late 2012 a nationwide poll on the subject showed that about 60 percent of Russians oppose the return of Stalin’s name on maps. Vladimir Putin’s press secretary Dmitry Peskov also commented on Monday saying that Putin’s words should not be interpreted as supporting the renaming. “When he was answering the veterans’ question in Normandy Putin said that changing names of cities it was not within his powers. As he continued to answer the insistent veteran’s question, the President answered that he could not make such a decision himself and that there was a procedure – the question can be solved through a referendum.” The ITAR-TASS news agency quoted the Kremlin official as saying. The head of the Russian Communists, Gennady Zyuganov, told reporters that he supported the idea of a referendum and immediately suggested to move further and hold a referendum on returning the name Leningrad to St. Petersburg. 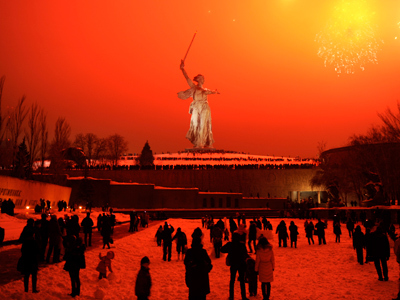 The Issue of Volgograd returning to the name of Stalingrad is raised in Russian society on a regular basis – mostly by fringe left-wing politicians, veterans’ organizations and military history clubs. The discussion has become especially strong as the country readies to mark the 70th anniversary of victory in WWII. 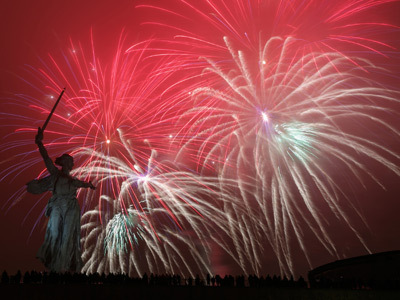 In 2013 the Volgograd city legislature decided to use the name Stalingrad during the ceremonies dedicated to the anniversary of the Battle of Stalingrad – the event that is believed to have turned the course of the war and led to the defeat of the Nazis. However, most leading government officials and political party leaders have been cautious, saying the decision must be made by Volgograd residents in the course of a referendum. Presidential spokesman Dmitry Peskov said in 2013 that the Kremlin administration was not supporting the renaming as it caused additional unnecessary expense and could start a chain of similar events that were not needed. 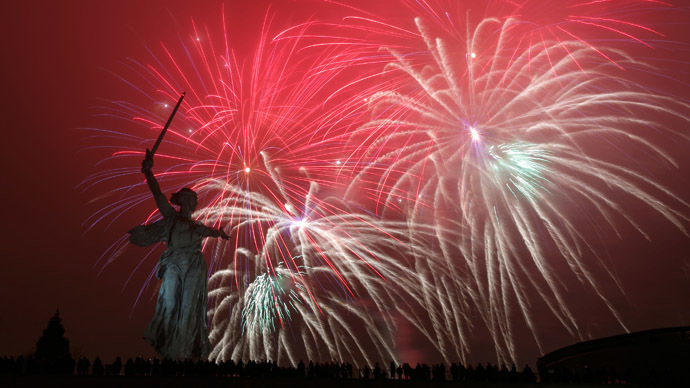 Founded in 1589 and originally named Tsaritsyn, Volgograd was renamed after Joseph Stalin in 1925. Its name was changed back in 1961 as part of the campaign against Stalin’s personality cult.